UPDATE: In a rare sign of bipartisanship, the House passed the JOBS Act on Thursday, March 8, by a vote of 390 to 23. 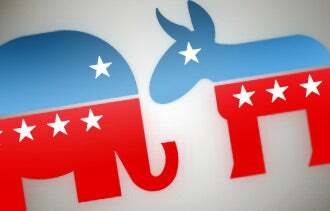 Even in the polarized political environment of this 2012 election year, Republicans and Democrats in Congress are coming to the table over proposed legislation aimed at helping small businesses. Next week, the House will vote on a Republican-proposed package of bills that could increase small businesses' access to capital, make it easier for them to go public and encourage the growth of startups. The bill, known as the Jumpstart Our Business Startups, or JOBS, Act was proposed this week by Representatives Eric Cantor (R., Va.), the House majority leader, and Stephen Fincher (R., Tenn.), who serves on the House Financial Services Committee and on the Jobs Creators Caucus. Among other things, the proposal includes measures that would ease U.S. Securities and Exchange Commission regulations that make it tough for a small company to sell shares in the public markets and raise capital through crowd-funding sites. "President Barack Obama in his State of the Union address asked Congress to send him a bill that helps small businesses and entrepreneurs succeed. That is exactly what we intend to do," said Representatives Cantor and Fincher in an op-ed they penned for Politico earlier this week. To be sure, passage in the House shouldn't be too difficult, as the JOBS Act includes six initiatives that have already received bipartisan support. A few of the bills included in the package have already passed individually by a landslide in the House. Although House Democrats -- and the White House -- have expressed support for overall package, some Democratic lawmakers criticize the measure as not going far enough. "This clearly is not the jobs bill that we are looking for: a comprehensive, jobs-producing, jobs-stimulating piece of legislation," House Minority Whip Steny Hoyer (D., Md.) said on Tuesday in a press conference. Still, he adds, even a little bit can go a long way toward helping the nation's small businesses. "I believe our side certainly is going to join in supporting these bills, which we think will have some positive effect on small business, entrepreneurs, business formation, capital formation," added Hoyer from the House floor on Thursday. The Reopening American Capital Markets to Emerging Growth Companies Act would make it easier for companies to go public by allowing them temporary relief from certain U.S. Securities and Exchange Commission (SEC) regulations. The Access to Capital for Job Creators Act aims to help small companies raise capital by removing a SEC regulatory ban that says small businesses cannot use advertisements to attract investors. The Entrepreneur Access to Credit Act also claims to ease entrepreneurs' efforts to raise capital by eliminating SEC restriction on “crowdfunding,” an increasingly popular way for small businesses to raise money from a large pool of individual investors. The Small Company Capital Formation Act would help small businesses go public by elevating the threshold of companies that are exempted from SEC regulation to $50 million from $5 million. The Private Company Flexibility and Growth Act is expected to give small companies more room to grow before having to go public by expanding the shareholder limit for registration with the SEC to 1,000 from 500. The current SEC regulation asks many small companies to purposefully impede their own growth or force them to look for buyers when they start hitting up against the current regulatory roof. The Capital Expansion Act would increase the number of shareholders allowed to invest in a community bank to 2,000 from 500, as is currently dictated by the SEC. The goal is to reduce regulation that community banks, some of the biggest lenders to smaller businesses, have to deal with allowing them to spend more time making loans.